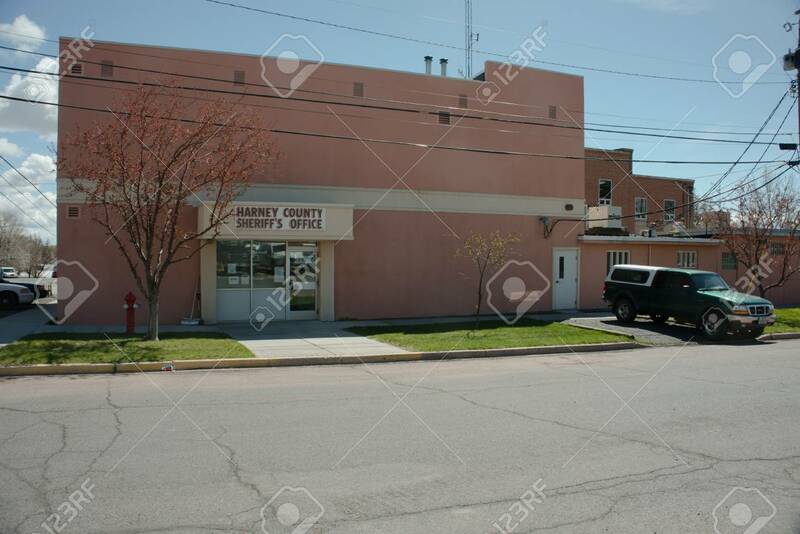 BURNS, OREGON APRIL 21 2016, The Harney County Sheriff's Office.. Stock Photo, Picture And Royalty Free Image. Image 79122518. Stock Photo - BURNS, OREGON APRIL 21 2016, The Harney County Sheriff's Office building in Burns, a pick-up truck is parked in front. BURNS, OREGON APRIL 21 2016, The Harney County Sheriff's Office building in Burns, a pick-up truck is parked in front.